My couch throw pillows have been getting more and more flattened by the week. We have a deeper couch – a.k.a. I have short leg syndrome – and so the pillows are a necessity. A few weeks ago I noticed that the Kohl’s pillows I purchased last year were fraying and just coming apart at the seams . The batting was also coming out. Seriously?! Who didn’t serge those seams? I could do so much better! So I took matters into my own hands. I wanted the fabric to be durable so I chose upholstery fabrics. 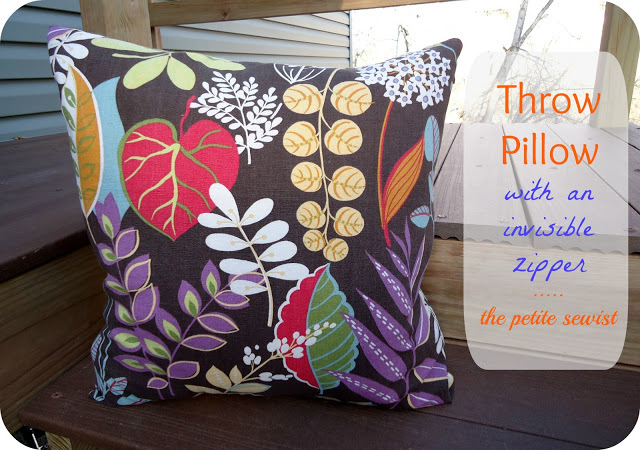 I used a 44″ jungle upholstery print for the pillow, above. This was leftover from the bag I made a couple weeks back. 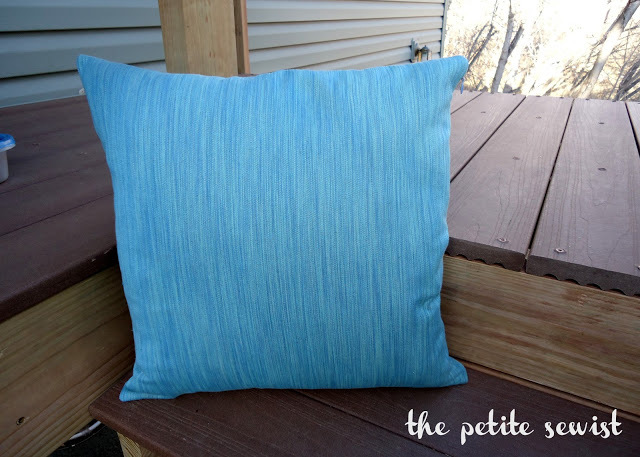 I used a 60″ heavier weight upholstery fabric for the greenish blue pillow. 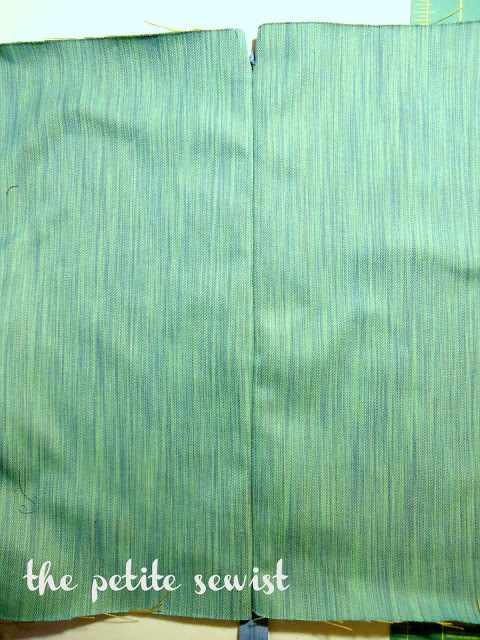 The second fabric was regularly $29.99 (yikes! ), but I used a 50% off coupon. 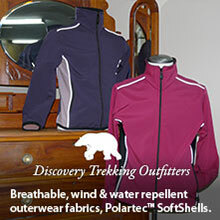 If you choose a lightweight fabric, you should to apply fusable interfacing to it. I did some research to find the best pillow insert I could afford. I decided I wanted a down feather insert and Crate and Barrel had some very affordable ones for $12-14. They don’t flatten permanently like the polyester fill inserts. They are fluffable! 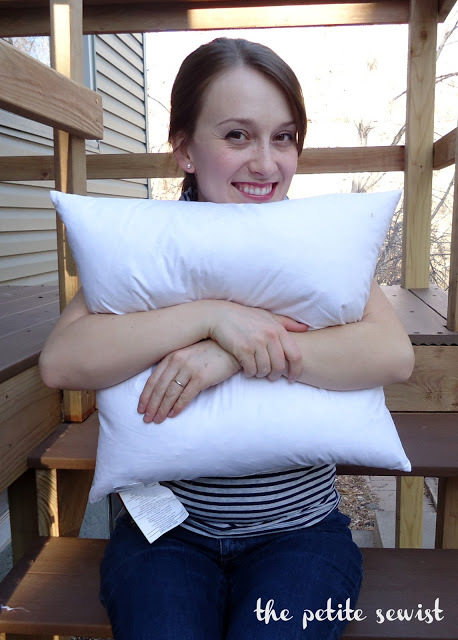 *When making pillow covers, the finished cover should be 1″ smaller than the pillow insert. So, a 20″x20″ pillow insert should have a 19″x19″ finished cover. This makes the pillow look fuller and plumper. 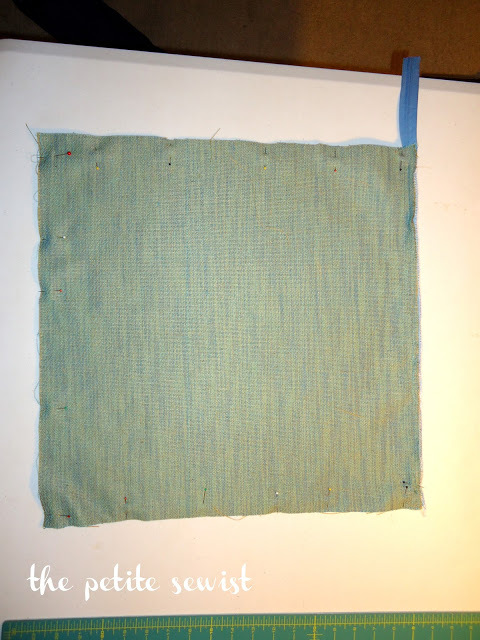 I took into account a 1/2″ seam allowance on all sides, making the fabric squares 20″x20″ to start with. Make sense? 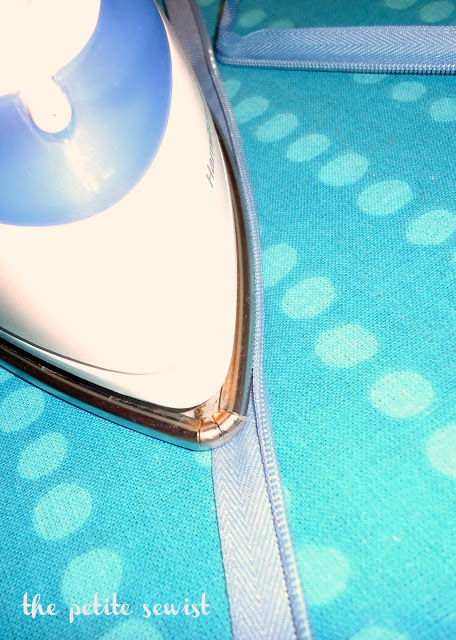 Grab your zipper and turn your iron on the ‘polyester’ setting – not cotton! If it’s too hot it could melt the zipper. 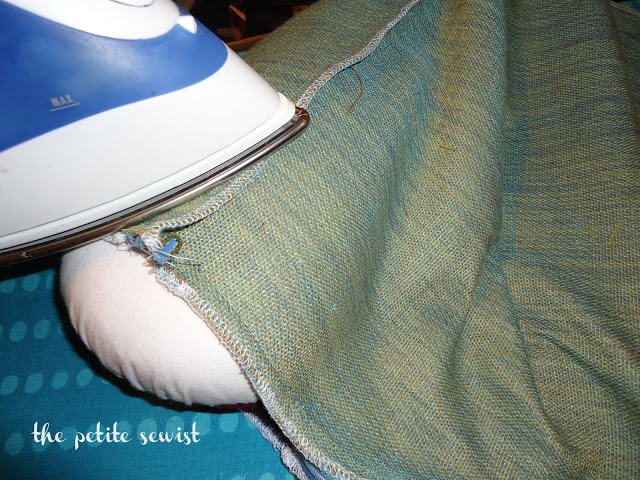 Open the zipper, and with the zipper side up, push the coils out and iron it as flat as you can. Don’t put the iron directly over the coils. 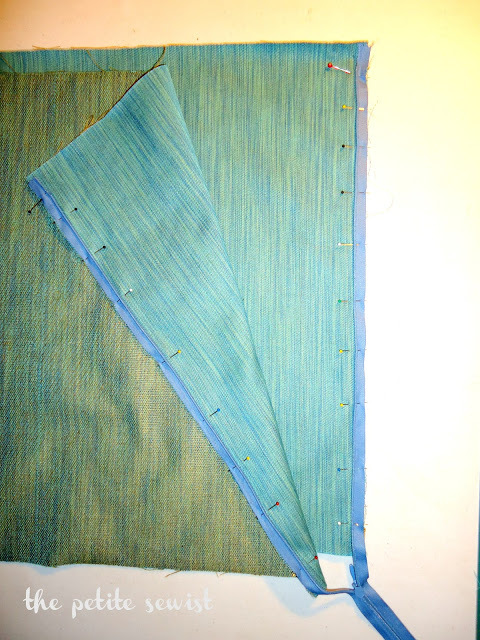 Now, grab your two pieces of fabric and serge (or zig-zag) along the edges that you are going to apply the zipper to. I forgot to do this step the first time, so it isn’t pictured here. 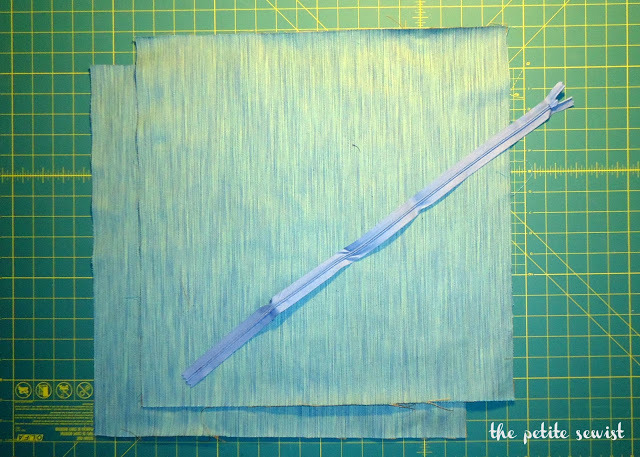 Pin the zipper to the two finished edges. With invisible zippers, you have to think backwards. The flat side of the zipper is the side that will show from the outside. 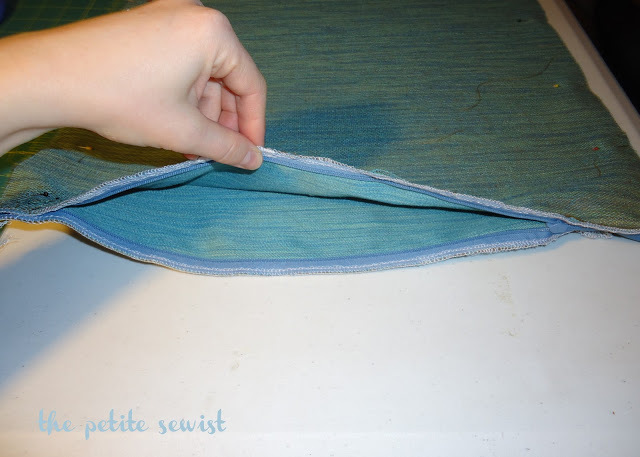 Place the flat side on the right side of your fabric. The coils always face away from the edge. 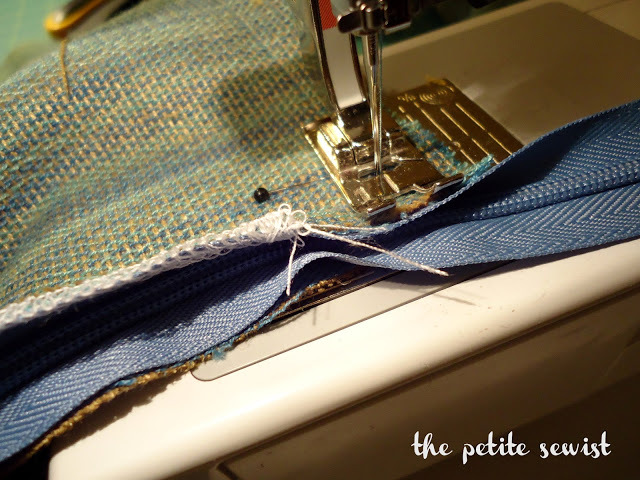 Now, using your invisible zipper foot, sew the zipper to the fabric on both sides. 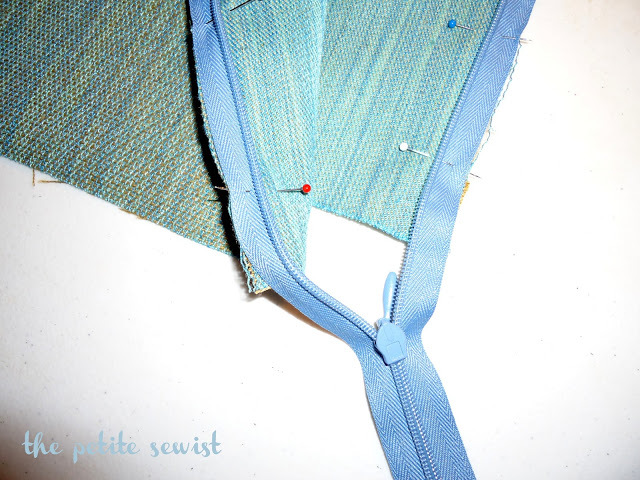 Leave the zipper unsewn 1 1/2″ from the top and bottom. Make sure to backstitch this seam a couple times. You don’t want it coming apart later. Zip up the zipper and iron the seam flat. Put the squares right sides together and pin everywhere except where the zipper seam line is. Check to make sure your zipper is open. 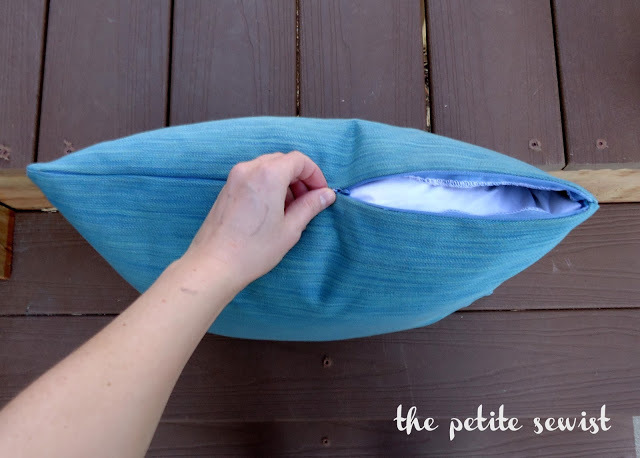 Sew the two pillow sides together. I found it easier to sew towards the zipper on both sides instead of starting where the red and black lines meet. Do you see how I’ve folded the zipper in half and scooted it out of the way? I don’t want it to be included in this seam. This is me turning the corner to meet where my zipper stitching line ends. 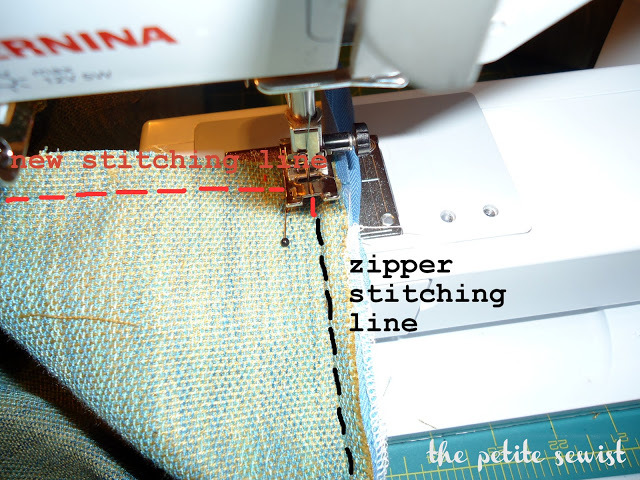 Finish all of the edges with a 3-thread overlock at the serger or with a zig-zag stitch at the sewing machine. 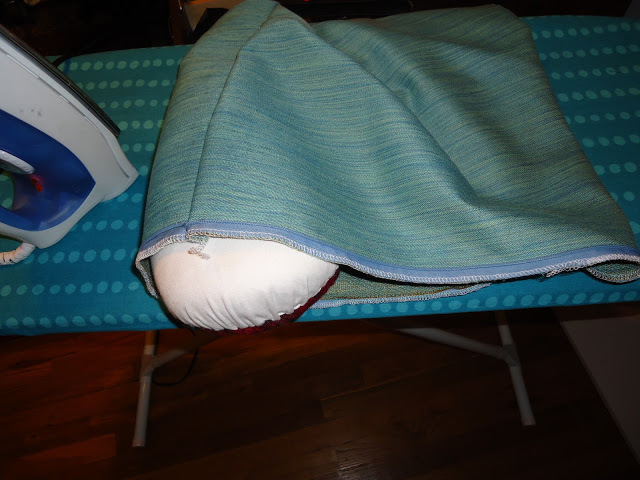 Now all the sewing is done and it’s time to take your pillow cover to the ironing board. Oops, I need to turn it inside out first. I turned the seams to one side and gave it a good press. 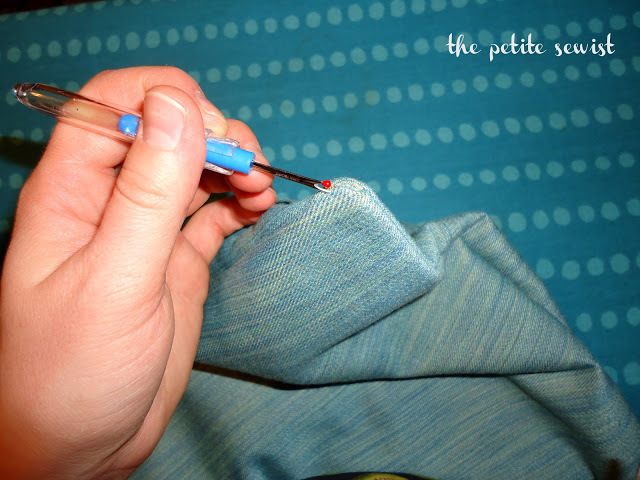 Turn the pillow right side out, and with the seam ripper, make those corners crisp. I didn’t grade the corners because I didn’t want my pillow fabric to fray. Again. Thank you for this tutorial! 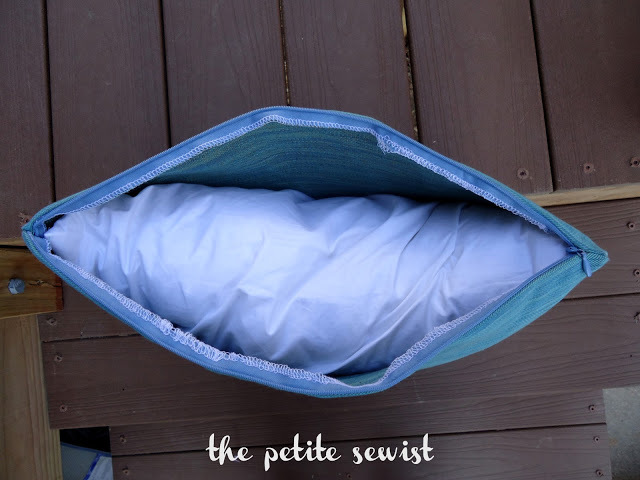 This really helped me make my first pillow with a zipper so that I can change out my pillows by the season. Your detail was fantastic! Thanks again! Thanks Julie! I'm so glad you found my tutorial helpful. 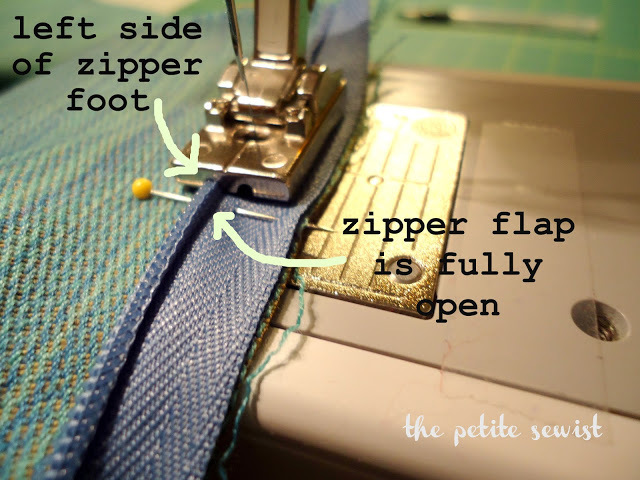 This is very helpful but 2 questions: What did you do with the excess zipper length on the bottom – did you cut it – and did you sew horizontally across the bottom of the zipper several times as a "stop guide" for the zipper tab? Thanks! I don't remember having excess zipper length in this project, but if I did, I would definitely cut it and make a new stop guide. Thank you for this tutorial. 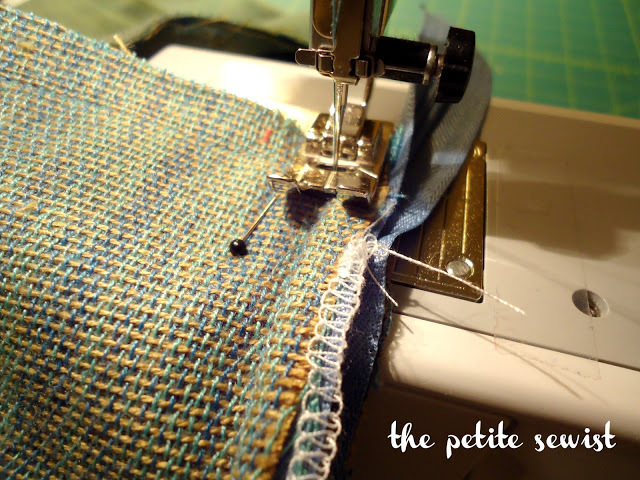 I've been sewing for many years but I love to see how others do things and I've picked up some good tips. I was going to make the cushion smaller than the cushion cover but now I will make it an inch smaller.